Many major Indian cities, including Mumbai, Pune and Kolkata, grapple with air pollution. However, India’s air pollution crisis is largely due to the noxious, winter air quality in Delhi and some cities in north and central India. In 2016, the World Health Organisation put 10 Indian cities on the list of the world’s most-polluted. Reports from monitoring stations across Delhi, for at least a day after Deepavali this year, reported very high concentrations of particulate matter. The six-rung colour-coded Air Quality Index showed that pollution levels had shot up to ‘severe’ on October 20 — a sign that the air was toxic enough to warrant even the healthy to stay inside — but in a few hours the needle eased down to ‘Very Poor,’ or a level that’s typical of Delhi winters and risky to those with underlying respiratory problems. Several other north Indian cities on the Gangetic plains, including Agra and Allahabad, are affected too as particulate matter persists throughout autumn and winter. Mumbai, Chennai, Bengaluru and Kolkata see pollution spikes but, primarily aided by geography, see them being flushed out too. A confluence of interdependent factors is responsible. Winter in north India means a drop in wind speeds and high moisture levels from a retreating monsoon that prevent dust and particulate matter from being quickly flushed out. Further, the burning of agriculture stubble in Punjab brings toxic and unburned carbon particles into Delhi’s atmosphere. The city’s high emissions from cars, road dust and industrial waste contribute to the high pollution loads that rank it among the world’s most-polluted. In other cities, the weather may be friendlier but rising pollution from industry, burning of coal and vehicles means that no fast-growing urban city in India is even close to the WHO-dictated air quality standards. For one, India bears the burden of the maximum number of air pollution-linked deaths in the world. A report last week by The Lancet Commission on Pollution and Health, involving over 40 international health and environmental authors, reported that air pollution killed 1.09 million in India in 2015. Though the Indian government has disputed this number, it’s incontrovertible that a wide variety of sources of air pollution abound. These include ambient air pollution, which is outdoor air pollution comprising gases and particulate matter; and household air pollution from the burning of wood, charcoal, coal, dung or crop waste indoors; and ambient ozone. Such pollution is strongly linked to heart disease, stroke, lung cancer and Chronic Obstructive Pulmonary Disorder (COPD). This also imposes a financial cost. 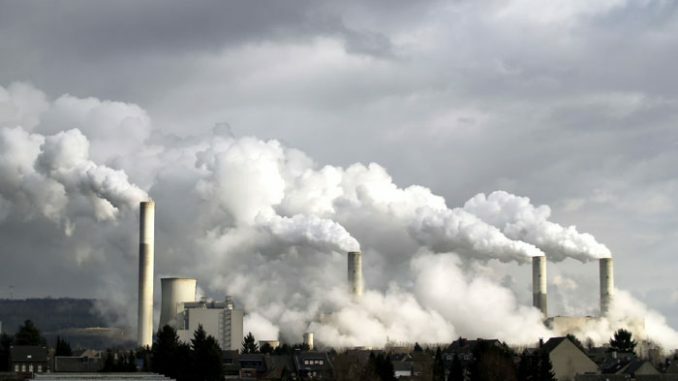 The same report says the financial cost of such pollution is between 1% and 1.5% of the GDP of middle-income countries. The Supreme Court banned the sale of crackers in Delhi as an “experiment” to check its impact on air quality. A report from the Central Pollution Control Board said concentrations of most categories of pollutants — sulphur dioxide, particulate matter 10 and 2.5 — saw a fall this year across most stations, except nitrous oxide. The agency also measures noise levels during Deepavali and this year, the numbers show, there was a definite dip in noise compared with the average. However, it’s still unclear if crackers were low enough to contribute to reductions in air quality. Unless there’s a dramatic re-arrangement of the economy, little can be done about improving air quality. A 2016 modelling study said that unless there was a concerted effort involving all the States surrounding Delhi, and Pakistan, with regard to the burning of agricultural stubble and clamping down on brick kilns, there would be limited gains. Groups such as the Centre for Science and Environment have said that the number of cars in the city have to decline, along with a steep rise in the use of public transport, to register any visible difference in air quality. These issues need to be addressed consistently by politicians, business groups and activist groups. Because of the annual debate around pollution in Delhi, there’s intensive scientific monitoring of emission categories and sources by various agencies. However, many other cities lack monitoring.